Dishonest Jerusalem Post Headline On UK Town’s Israeli Settlement Boycott. This is journalism? 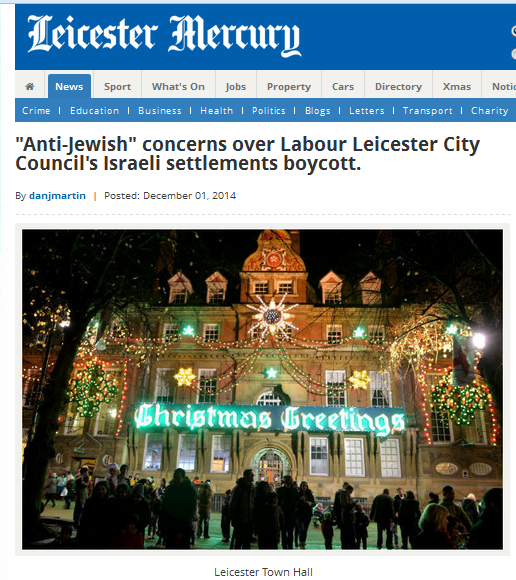 Last night several news outlets picked up the story on Leicester’s city council decision to boycott Israeli settlement goods. 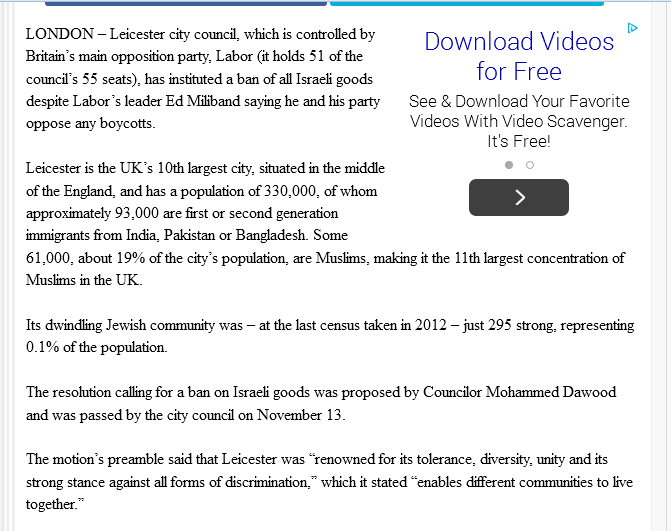 Leicester is the 10th largest city in the UK and it is possible other towns will now follow suit. Apparently this has the zionist propaganda teams riled up because they are already twisting the news. 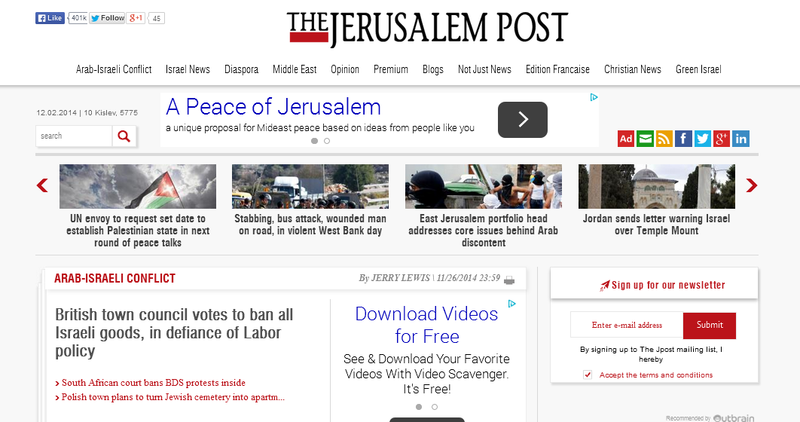 Jerusalem Post article blatantly lies in the headline and also in the first paragraph. 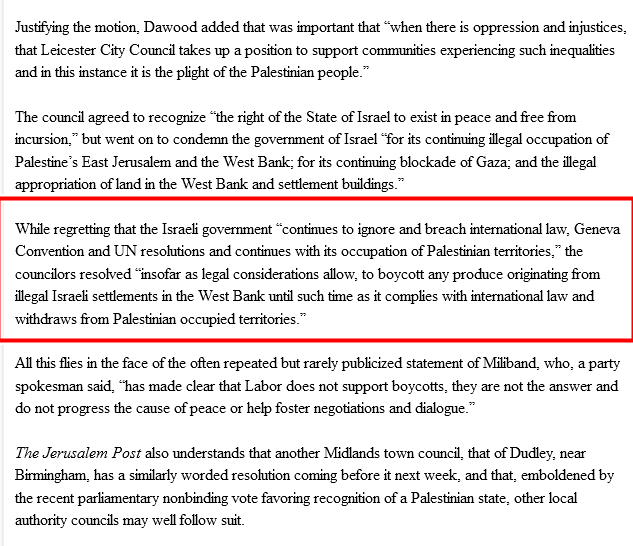 It isn’t until the very bottom of the article that Jerusalem Post decides to mention what the city council’s decision was REALLY on. I wonder how a publication as widely distributed as Jerusalem Post could think they could get away spreading false information? Categories: Israel | Tags: BDS, ISrael, Journalism, Middle East, Palestine, UK | Permalink.